Its not amazingly sharp, but it's a good buy for the price. It is a beautiful piece and great for a display or collection. not meant to shave though. I tried to strop forever and while I got it sharp it's nowhere near shaving sharp. Took it to my barber who has a lot of experience both using and preparing straight razors and he said it's great for show but not meant to shave. All in all it is a nice peace and great for the price but don't expect to have a smooth face from it. As far as looks go, the black marble handle is beautiful. It almost looks like there is real depth to the marble. The lever is smooth, and easy to open with one hand. There isn't really much more to say, it is an attractive and, once sharpened, functional razor. 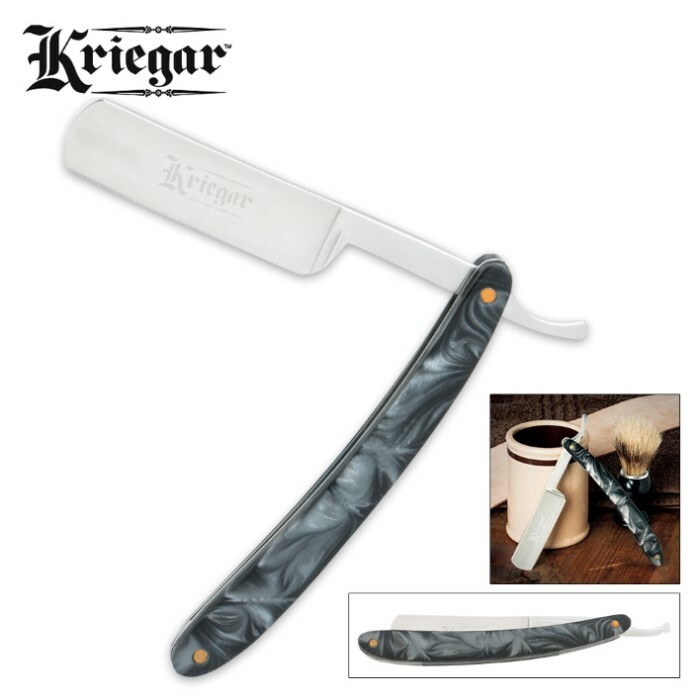 Love the handle and the smooth lever action, its a good razor to have. My only problem is how sharp it is, which is to say not at all. 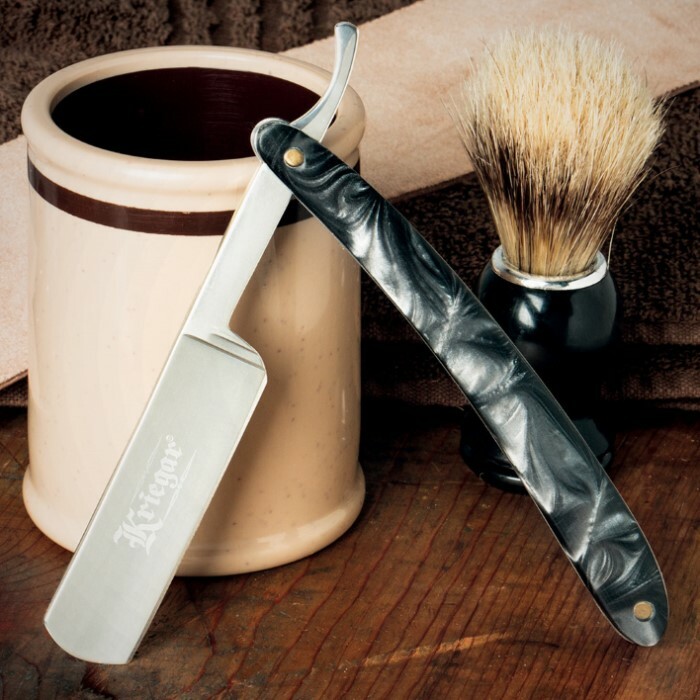 Like most razors you need to hone it yourself, but this one required actually sharpening in order to shave.